In the days leading up to Thanksgiving, I wracked my brain to think of a thoughtful food gift to bring my in-laws. We were going to be staying with them in Connecticut for four days and I wanted to bring something extra special to thank them for hosting us. We usually bring wine/cheese/salami/hors d’oeuvres, but this year I wanted to be a bit more creative. Plus, those gifts are always appreciated but never last after Thanksgiving day! As I fixed myself an easy bowl of cereal before work one morning, a light bulb lit up in my head. The morning of Thanksgiving, we’re always too stressed about the turkey, stuffing, potatoes, and pie to focus on breakfast. The morning after Thanksgiving, we’re too tired of cooking to make a big breakfast. So, I decided to prepare some easy breakfast foods for us to enjoy all weekend long. I baked a banana bread (recipe here), and also made some granola. 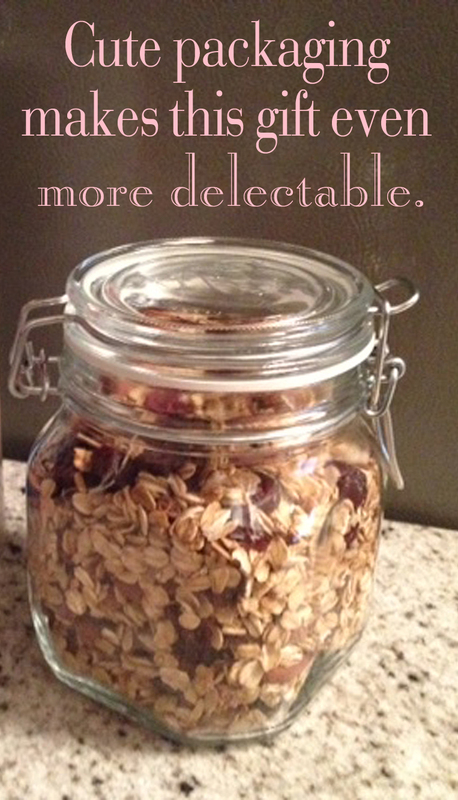 Granola is insanely easy to make, and there are so many different variations to play around with. 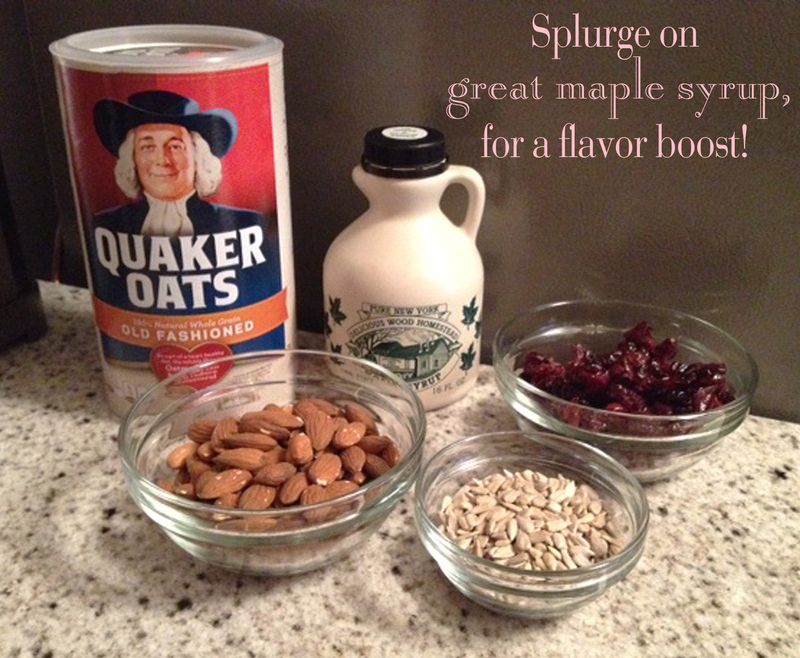 My favorite recipe is a simple one that’s enhanced with pure maple syrup. The recipe is below. On a rimmed baking sheet, toss oats, almonds, sunflower seeds, and salt together. Drizzle the maple syrup and oil over the dry mixture, and toss with a wooden spoon, evening out any clumps. Bake, tossing twice, until golden and crisp, for about 25 to 30 minutes. Remove from the oven and add the cranberries. Toss again and let cool in the pan. Store for up to 3 weeks in an air tight glass jar such as this one from Container Store. Enjoy!